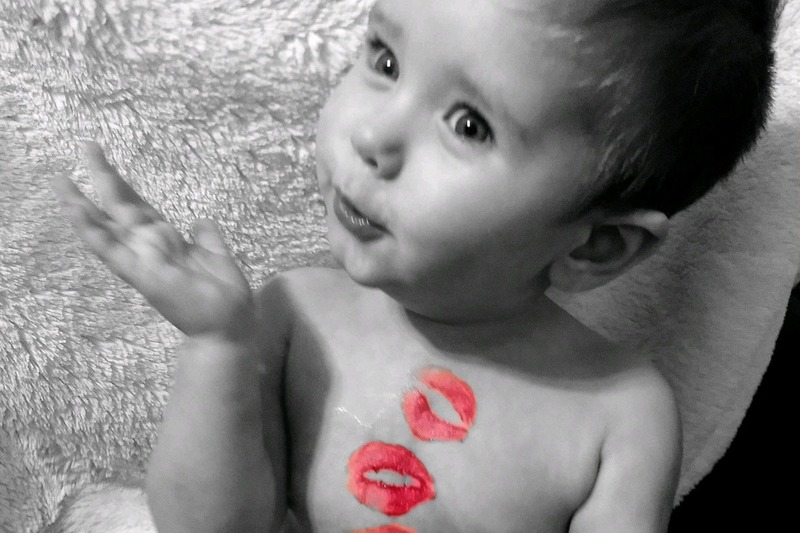 Karsyn, son to Stephany and Shane, was born September 2017 with rare Congenital Heart Defects (CHD). 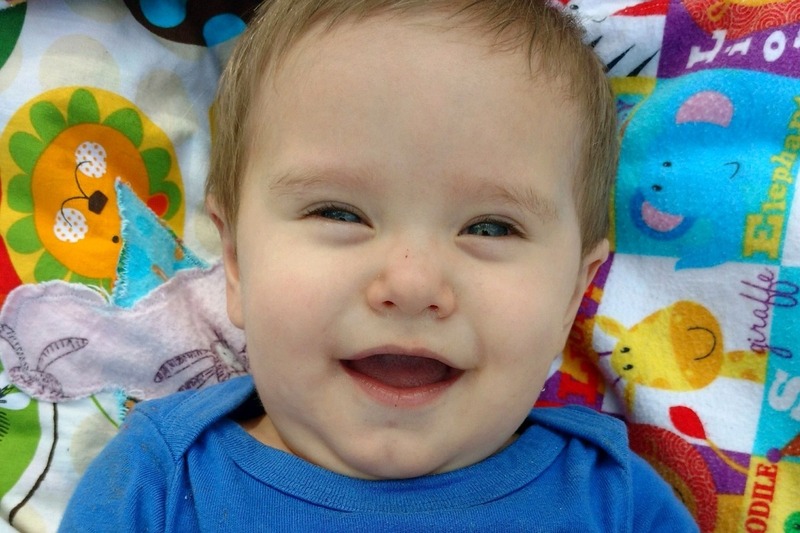 He was diagnosed as Tetralogy of Fallot with Pulmonary Atresia and MAPCAS. While many children are born with CHD, Karsyn's condition is complex and requires open heart surgery usually within the 1st year. 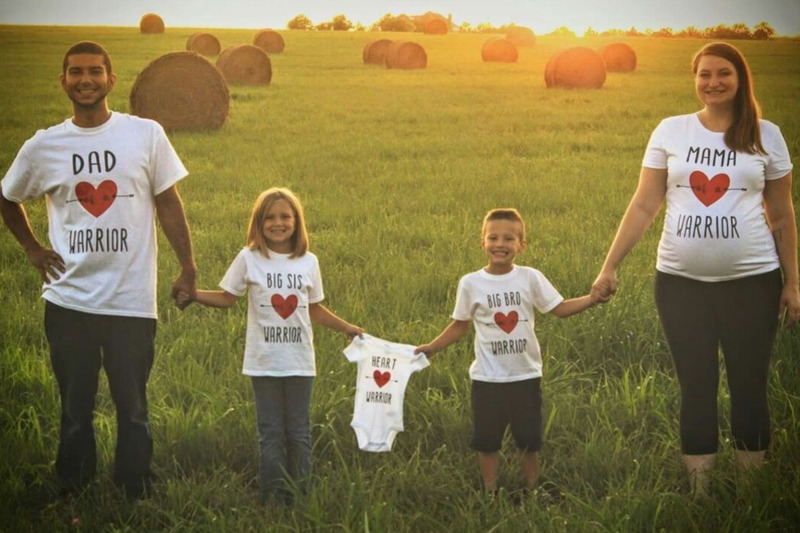 His heart is working very hard and surgery is Karsyn’s only chance at survival. Karsyn is nearly 10 months old and his parents have worked with specialty hospitals for months (even prior to birth). After many appointments, hundreds of questions, several tests and reviews from hospitals in Kansas and California, a specialist in California has agreed to perform a full repair and Unifocalization- one surgery, not spread out over several surgeries! The surgery is scheduled for October 2018, in California. This will require Karsyn and his parents to travel halfway across the country for at least 6 weeks for pre and post operation and recovery. Leaving behind Karsyn's siblings with family in Kansas. This beautiful family needs your help! The financial need to get this family to California and stay while Karsyn has surgery and recovers is dire. Although Karsyn’s parents have been working diligently with Insurance, they have not received confirmation that the surgery will be covered and will not know until around a month prior to surgery. This GoFundMe is set up to assist with the costs of the surgery as well as expenses for this family while in California and recovery for this extended time. The Semple’s are extremely grateful for any donation! They want to give thier baby, the best chance at life they can give. If you are not able to donate, please feel free to share so Karsyn’s story can reach from coast-to-coast. 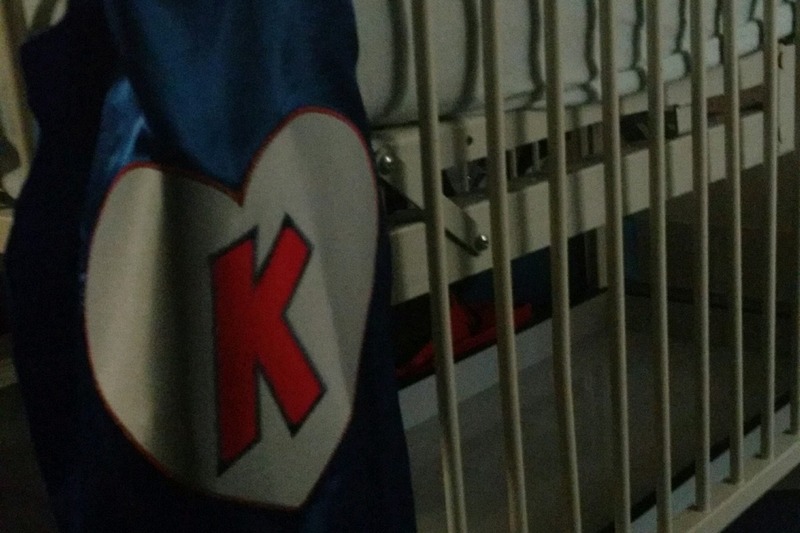 With this, we hope that others can donate to get this baby Karsyn this life saving surgery! Thank you from all who love and adore baby Karsyn Taylor! Please check out our Facebook page (Karsyn's Kourage) as well for more information and updates on Karsyn's condition. Update: Karsyn and family made it out to California in December of 2018. He had a successful full repair on 12/7/18 by the amazing Dr. Hanley! Although his heart will never be "fixed" they were able to accomplish everything they set our to do in the 15 HOUR surgery. Karsyn had a rollercoaster 3 weeks of recovery, but is now back home and reunited with his siblings. He now has a paralyzed diaphragm and weakened vocal cords, complications from the operation. And although he was sent home with a feeding tube and specialist appointments, he has since ditched the tube, and is back to eating and drinking like before! His recent follow up appointment did show some leakage in the fake valve he placed, and he has not had any weight gain yet. 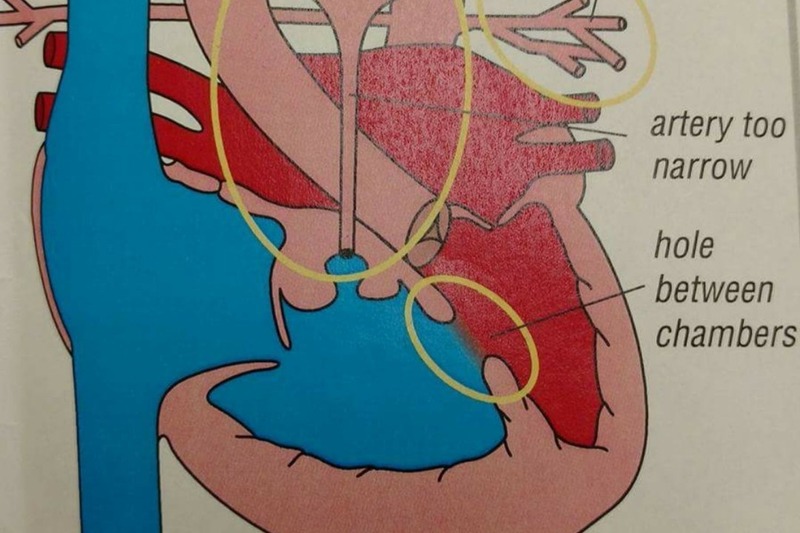 The blood to his lungs are also not evenly distributed. He will have many more appointments to go, but they feel his repair and recovery is looking beautiful. Our hope is no further intervention for the next 10 years! 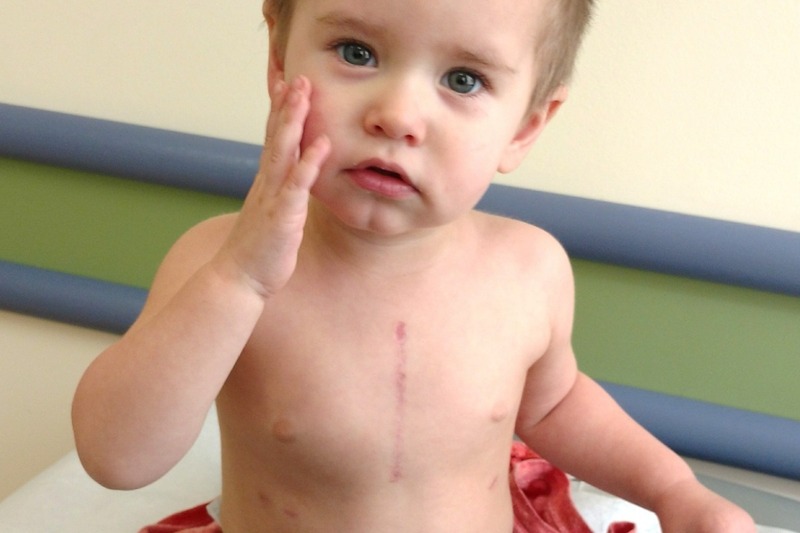 In October, Karsyn and his parents went to California for the scheduled surgery. The day of the surgery, it was determined that it would have to be postponed as Karsyn had come down with sickness. They have quickly rescheduled the surgery for December 7th. Although our fundraising efforts are still ongoing, we need help now more than ever. With the costs of now a second trip to California some of the funds raised were spent. We are reaching out to all that can help and if you cannot donate, please share Karsyn's story! The family appreciates all of the support!